Available for public and private screenings. 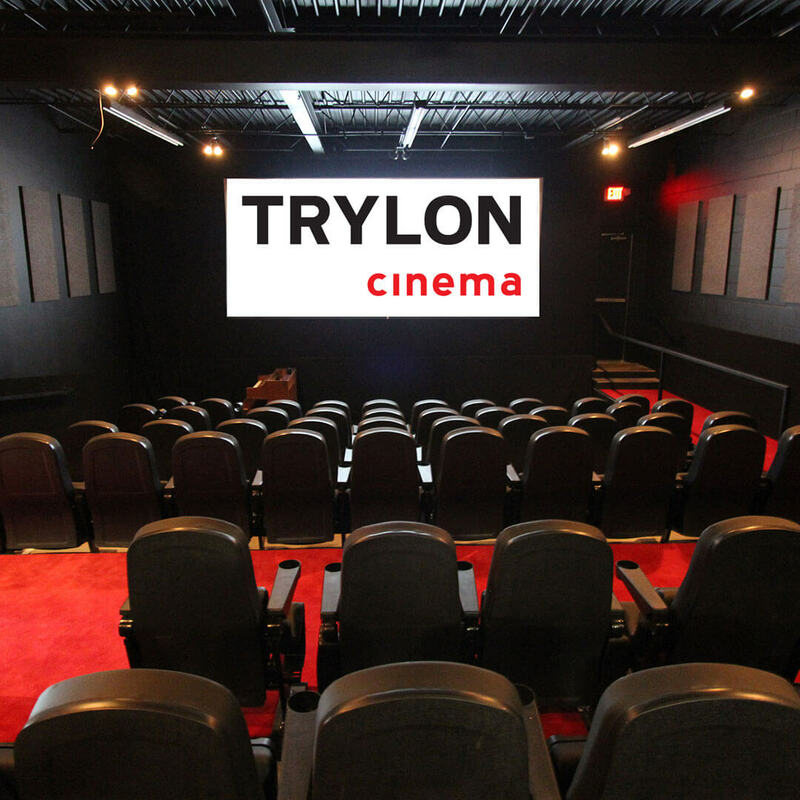 TRYLON’s base of operations, the Trylon Cinema, screens classic films six nights a week. We operate a pair of Century Model SA 35mm projectors with lenses for all film formats, as well as a state of the art NEC 2K DCI-compliant digital projector and 8 channel sound. Our auditorium has 90 seats (installed new in 2017), plus spaces for up to four wheelchairs. The Trylon is available for rental on most Thursday evenings, Saturday afternoons before 7, and Sunday nights after 9. With a limited number of rental slots available we recommend booking reservations well in advance. The rental rate is $160/hour, including staffing, with a two hour minimum. Online ticket sales can be done by the Trylon (at a cost of $1 per ticket). We offer popcorn/candy ($3) and cans/bottles of soda ($1/$3). Outside food is permitted in the box office area only. To request a rental quote, contact barry@trylon.org. Your request should include: your full name, address, phone number, email address, the run time of your program, projection format (DVD, Blu-ray, DCP or 35mm), date requested, ticket price (if any), and any special requests.